Heather has provided an extensive FAQ for her “About” page. Click here to check it out! She’ll also be serving as a mentor for the Nevada SCBWI Mentor Program, which is currently accepting applications. Please visit the SCBWI website for more info. LOCK & MORI: FINAL FALL COVER REVEAL! 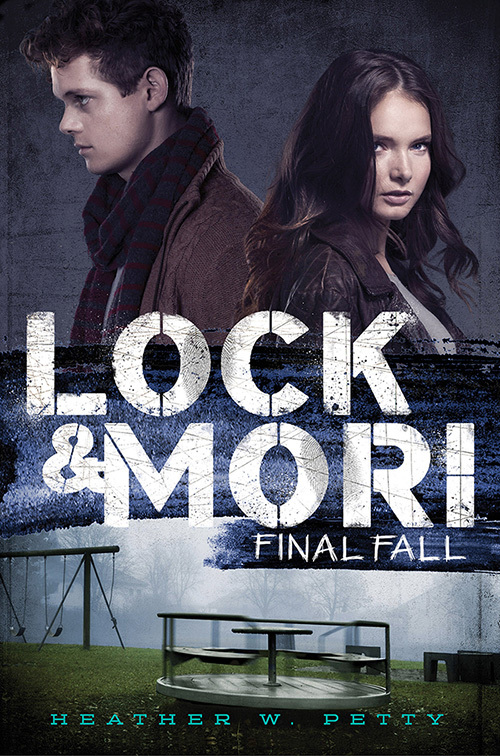 Here’s the cover for LOCK & MORI: FINAL FALL, the gripping conclusion to the LOCK & MORI series! Mori is out for revenge. Imprisoned in the English countryside, with her brothers held as leverage, she’s never felt angrier or more helpless. When an opportunity for escape arises, Mori takes it and flees back to the streets of London, where she is finally able to plot the demise of her recently freed father and his cohorts. But after a bittersweet reunion with Lock, she discovers that he may not be the ally he once was. In the face of blackmail, threats, and Lock’s noble attempts to thwart her crusade, Mori has an impossible decision to make. Can Mori wash the blood from her hands and walk away? Or will her final fall from grace be the end of everyone she loves? We’re gearing up for the release of LOCK & MORI: MIND GAMES on December 6, which means that Heather will be making appearances on quite a few YA blogs and websites. Please check back regularly for interviews, reviews, guest posts, and giveaways! Keep in mind that most of these sites are offering giveaways as well. 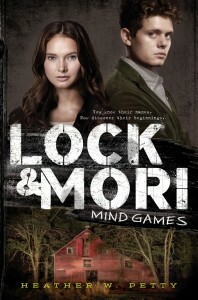 Be sure to enter if you’d like to win a free copy of LOCK & MORI: MIND GAMES!